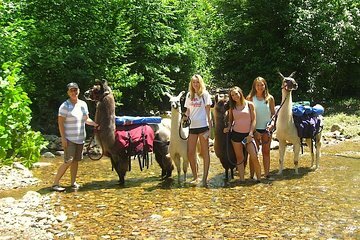 Outdoor enthusiasts and animal lovers that want to take a hike in Greeneville—with a fun twist—shouldn't miss this guided hike, accompanied by pack llamas. With the llamas to carry your supplies, you get to experience the forest and creeks, and take in the refreshing mountain views. When you reach your wooded destination, unpack a bagged lunch—which you bring along—and enjoy your meal alfresco.